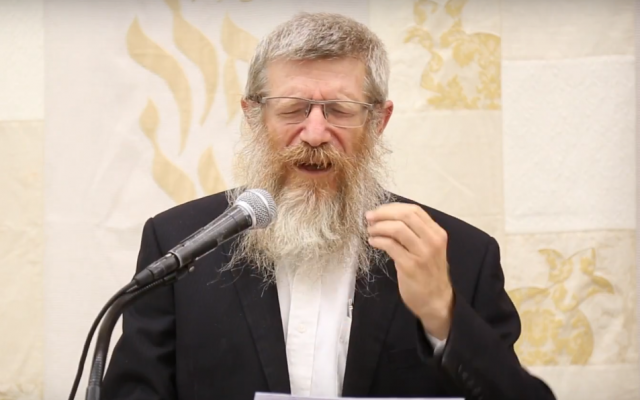 Rosh Yeshivat Hesder Mitzpei Ramon HaRav Tzvi Kustiner has been ousted from the IDF reserves in response to his recent statements against women combatants in the IDF, Yisrael Hayom reports. Rav Kustiner in recent weeks spoke on the subject, stating “A Jewish army is one without women”. The rav during the past 25 years has been giving courses for the IDF Rabbinate in the capacity as a reservist. In fact, he has been standing at the helm of a course to certify Chief Rabbinate personnel since its inception, about a decade ago. The rav volunteers for six weeks annually. However, according to the report, this has come to an end. “It is inconceivable that a rabbi would have to be afraid to express his Torah position because they might decide to remove him from his position. This feeling has been gaining strength lately is that there is an attempt to shut the rabbonim out of the army, and to terrorize them so that they will be in line with the liberal agenda”, persons close to the rabbi are quoted saying. The IDF spokesman explains Rabbi Kustiner will be permitted to remain in the IDF Rabbinate but he will serve as a rabbi in the course. a Rabbi is supposed to tell us what haShem wants from us, not what the IDF wants. Freedom of speech is not so free in Israel…. The crucial time is arriving for the dati leumi.Will they follow the “dati “-the Torah or the “leumi” and acquiesce to the leftist-run,anti-religious, immorality of the IDF? Torah will win & these Rabbonim will be crowned with glory. Please add this to the equation you use to evaluate those who refuse to serve in the IDF. To serve or not to serve is not a simple question. The IDF is and has always been anti-Torah. Its leaders are, however, practical people and are willing to accommodate a limited amount of Torah in order to maintain quality manpower. Over the past twenty years it has become obvious that the Torah community has won the demographic battle and it is only a mater of time before Israel, one again, become a Torah nation. There are elements of the unJews that would rather burn the country to the ground than see it become a Torah nation. So they have been deliberately sabotaging key elements of the country. More and more of the wealth is being concentrated into fewer and fewer people so as to make its transfer out of Israel easier. The start up nation is really the bail out nation. Any really good Israeli tech is gobbled up by foreigners and no effort is made to encourage local talent to stay in Israel. Just the opposite. They are encouraged to take the money and go live it up in a real country. The great oil and gas finds are organized so that with a push of a button, physical and monetary control can be shifted from Israel to Cyprus. The IDF’s military capacity is being systematically destroyed under the guise of equality. Thus setting the stage for a major defeat and the destruction of Israel. Like I said, there are those who would rather burn the country down than let it become religious. Aryeh Zelasko: don’t you see? All the various immoralities they are increasing in the IDF’s arsenal is actually a long-planned top-secret weapon against their enemies. They expect that the arabs will all die laughing.